At the top, tap the measures counter and you get a big pop open window. Then go to the left and you’ll see there are 2 tabs to this window: play arrow and record button. 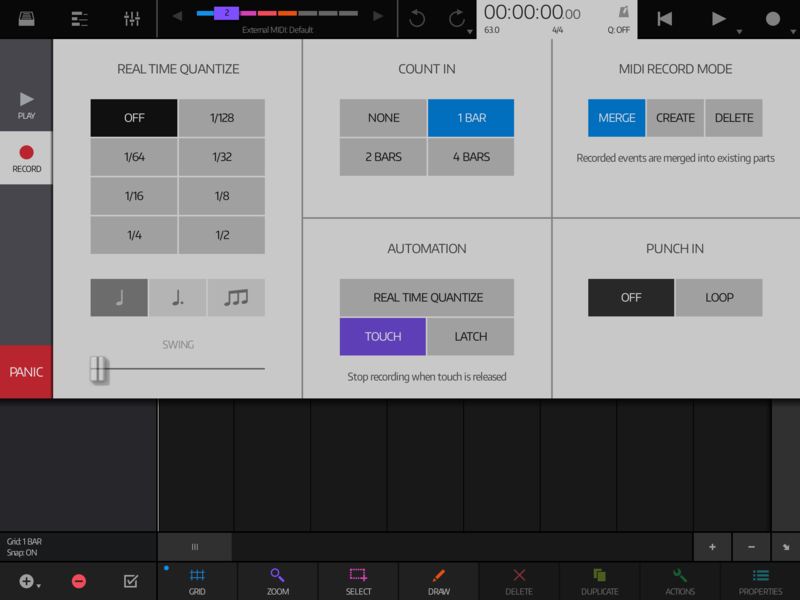 Tap record button to open up window for Quantize options. Hope that helps. 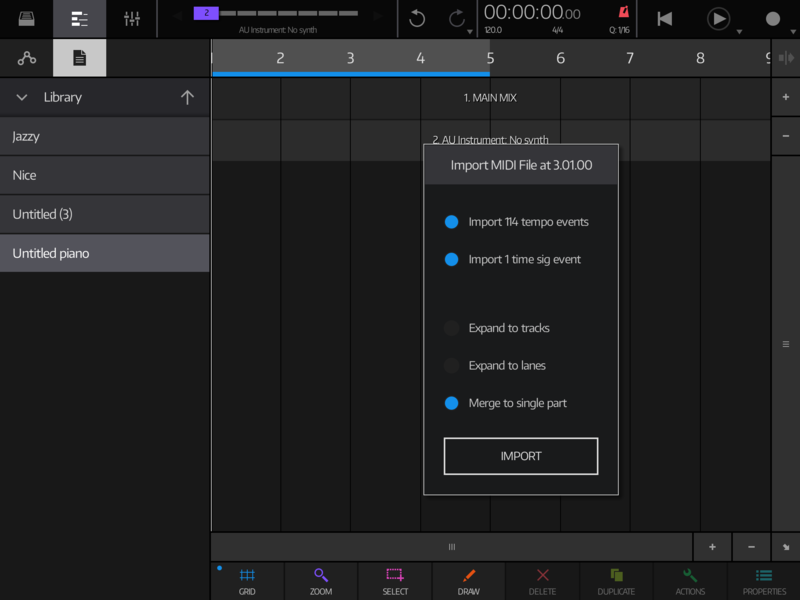 So are you saying that the tempo changes in the imported MIDI file are not being recognized? Just curious if you are then able to manually make tempo changes to the piece once it's in NS2? Manually is not as slick as it just being there after import, but I am not sure if there is something amiss in the 'recognizing data that is imported' or if there is an issue with tempo change in NS2. Does that make sense? What tempo would the ritard equate to? Can you change the tempo of that section so that it plays normally? Might not be possible to do. I'm not sure how granular NS is with regard to slight ritards but imported MIDI files can have their tempo changes imported. When you import the file, it will ask you if you want to use any tempo or time sig events found in the file. NS can also ramp tempos between events. I wonder how these are expressed in a MIDI file? As some special type of tempo event or as a series of small tempo changes? I also wonder if the importer snaps incoming tempo events to the song's grid (lower left GRID value, not the record quantize value) since this is the way it works when you manually enter them into the timeline. I doubt this is the case but you might turning the grid off before importing as an experiment anyway. Okay much info here thanks! When I imported it into NS2 I don’t recollect any pop up asking if I wanted the tempo and time signature info within the midi file imported also. Perhaps I missed something there and I’ll investigate further. In Notion the midi file gets created from the score and there’s an open in... so I send it to NS2. So it works now? Was it the pop up window’s options that were the thing? More about me opening up my eyes and reading the options within the pop up! That sounds awesome! So how do you like Notion? I’ e seen it in the appstore, with some mixed reviews. It sounds great. How was the learning curve? The price with all IAPs is pretty significant, but if it works well that app could be a valuable tool. 114 Tempo Events. Dayyyyyum. And those all import? Would love to see that timeline. Just small detail, that popup screen from top navigation which you posted in one of first posts, where is quantisation - bear in mind that this is REALTIME quantisation. This means it's applied only to new recorded notes during playbach/recording. It doesn't affect in any way things which aready are recorded, drawed, or imported from midi file. Thanks for the useful information dendy! Learning more everyday about NS2 is a great and rewarding experience. What? NS2 can read Notion files? App of the year! It does seem impressive. 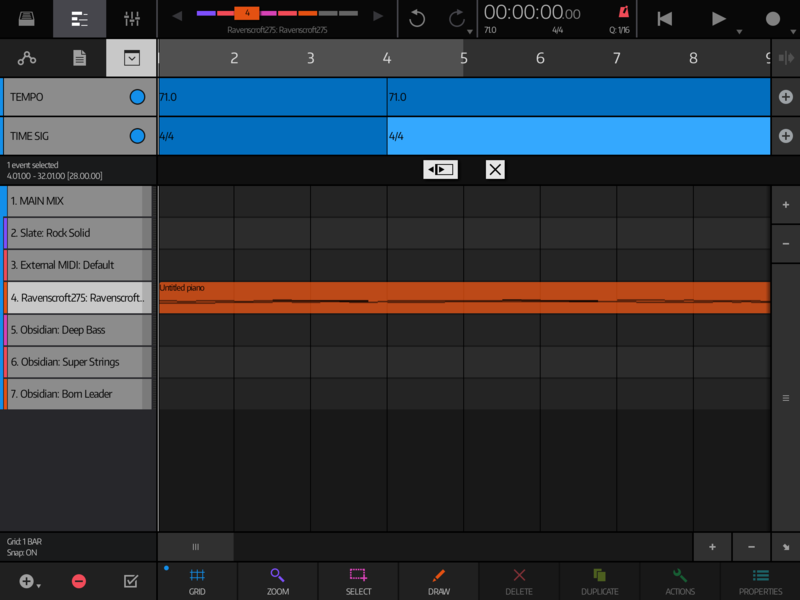 I’m still considering which notation app is best.